"The digital future has begun." 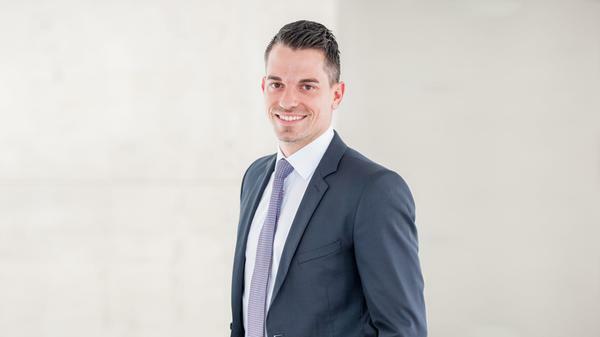 Gerald Kremer, Chief Digital Officer, has been responsible for digital transformation in the Global Real Estate unit at Credit Suisse Asset Management since October 2018. In this interview, he talks about the promising opportunities that digitalization is bringing for the real estate sector in general as well as for Global Real Estate in particular. Mr. Kremer, you joined Global Real Estate at the beginning of October. What does your new role entail? In my role as Chief Digital Officer I'm responsible for developing the digital corporate strategy of Global Real Estate. That means driving forward the existing digitalization projects and initiating new ones in line with the overall digital architecture as well as our strategic goals. As head of the innovation hub, I'm also responsible for innovation management as well as strategic collaboration with proptech companies. The number of so-called proptechs is growing rapidly. Can you give us a brief explanation of what exactly these companies do? Proptech is a buzzword that combines property and technology. Often it's a case of start-ups, but there are also a number of large-cap companies active in this area. They all offer digital services or products aimed at different areas of the real estate value chain. These can include software and hardware solutions for process optimization, or the introduction of smart information and communications systems, for example. In many companies, work is also under way on platform-based business models. What benefits do you hope to achieve by cooperating with proptechs? We are hopeful that these partnerships will enable us to optimize our core and support processes, for example through the digitalization of processes that were previously analog or afflicted by media discontinuity. But we are also specifically looking for innovation, in other words new solutions or even business model innovations. This should create added value for all parties involved – that is, for Global Real Estate as well as for investors and tenants – and equip Global Real Estate to deal with the changes resulting from digital transformation of the real estate industry. Generating new ideas is generally very important. Studies show that organizations with a high degree of innovative strength and efficient, data-driven, and flexible processes operate much more successfully in the market than their competitors. However, these new ideas don't necessarily have to be generated by external service providers. Within Global Real Estate itself there are some great ideas on the subject of digitalization. Digitalization isn't purely an IT issue; instead, it needs to be looked at on a cross-business basis and cover multiple aspects. Digitalization is being talked about everywhere – and now in the real estate industry too. Why is that? Real estate continues to trail on the digitalization front compared with other industries; however, many experts think it has enormous potential to benefit from the digital transformation and therefore to catch up with other sectors. One important indicator is the large number of players and corporates involved in processes as well as the absence of cross-industry digital platforms. Companies in the real estate sector are now increasingly tackling digitalization – and that's a good thing. Given that digital technologies are increasingly causing market entry barriers to disappear, it is important for us to get to grips with the topic and ensure Global Real Estate is poised for future success. At the start of our conversation you mentioned the development of the digital corporate strategy. How important is that task within your role? It’s very much the top priority. Fact is, you need to have a holistic strategy before you turn your attention to initiating specific projects. This strategy needs to follow a plan consisting of clearly coordinated building blocks. I believe it's extremely important to recognize that digitalization isn't purely an IT issue; instead, it needs to be looked at on a cross-business basis and cover multiple aspects, starting with mindset and management culture, via clear client centricity, through to innovative capacity and agile methods of collaboration. That consequently means breaking down silos – both in terms of internal processes as well as in cross-discipline and cross-company cooperation. Support from management is also critical for success. As the managers in Credit Suisse Asset Management actively support digitalization and give it the corresponding resources and scope to act, our efforts on the digital front will make a sustained contribution to creating the added value I mentioned before for the various stakeholder groups. What initiatives could form part of such a digitalization strategy? First, a basis needs to be created for digitalization – in particular that includes an integrated systems and database platform that is unaffected by media discontinuity, covers all key elements of the real estate value chain, and is agile enough to cope with future requirements. A robust company data model is of vital importance for managing and using data and documents in a purposeful, structured manner. On that basis the opportunities arising through new digital technologies are truly manifold. Within the real estate sector, linking the world of physical buildings with its digital twin creates unique opportunities. Take the following two examples. One is the subject of artificial intelligence (AI). This is already used successfully here and there, for example in data and contract management. However, the potential offered by the technology is much greater and I'm convinced that very soon it will be used for the analysis of entire portfolios. Fact is, AI can help with structuring processes more efficiently and organizing large amounts of data with a view to taking data-based, risk-minimized decisions. Studies show that organizations with a high degree of innovative strength and efficient, data-driven, and flexible processes operate much more successfully in the market than their competitors. The "internet of things" is another example. Using internet-linked systems and sensors, it's possible to trigger automatic messaging and resulting process chains in the case of damage to M&E systems – in real time and without the property having to be inspected on site. This naturally requires a property to be equipped with suitable sensors and to support the above-mentioned system landscape. In particular, all parties involved also need to be trained accordingly. That's why it's important right from the get-go for relevant considerations to be incorporated into the development of new property projects, but also into the digital architecture of Global Real Estate. What opportunities do such approaches offer for Global Real Estate? As mentioned earlier, the real estate sector is lagging significantly behind other industries on the digitalization front. What I found on arriving here was that the Global Real Estate unit at Credit Suisse Asset Management has excellent prospects of playing a pioneering role in this field. That firstly requires analyzing the current situation. The results of this analysis will then form the basis for the development of our digital strategy and the specific project building blocks. Sounds like you have an exciting task in store. Absolutely. I'm very much looking forward to working with my colleagues and hope to play my part in further upgrading Global Real Estate's excellent product portfolio. In addition to his role as Chief Digital Officer in the Global Real Estate unit at Credit Suisse Asset Management, Gerald Kremer continues to lecture in Digital Real Estate Management at the Karlsruhe Institute of Technology (University of Karlsruhe) and at the IREBS International Real Estate Business School. At the same time, he is a member of the innovation think tank of the German Property Federation (ZIA) and the author of various publications including the digitalization studies produced by Ernst & Young and ZIA. Is active "The digital future has begun."